Non-destructive photographic techniques are valuable for surveying benthic epifauna in sensitive areas. Inherent in these techniques, however, are selectivity biases related to the scale at which surveys are conducted. Such biases have not been addressed for surveys of marine benthos. The present study surveyed epifaunal assemblages at two depths (8 m and 20 m) and three locations close to Rothera Point, Adelaide Island, Antarctica. Two scales of photographic sampling were employed in order to encompass a broad range of taxon sizes and distributions, and their parallel use allowed qualitative and quantitative comparisons to be made between results from each scale. An additional physical sampling element was incorporated to assess sessile cryptic assemblages. A total of 79 faunal taxa from 10 phyla, together with 6 algal taxa, were recorded in the survey. Echinoderms were the most speciose group at both photographic scales, whereas cryptic assemblages were dominated by bryozoans. There were clear resolution-related differences between scales but all three methods revealed pronounced differences in assemblages by depth and location. Assemblages at both depths were notable for consistently high densities (~100 individuals m−2) of the regular echinoid Sterechinus neumayeri, and at 8 m for high densities (~100 individuals m−2) of the limpet Nacella concinna. 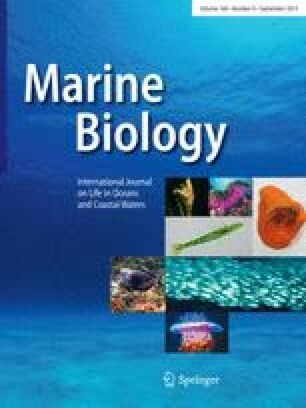 The results emphasise the general requirement for sampling methodologies to be matched to the size spectra of the organisms under study and, more specifically, highlight the need for studies to assess the relative importance of biotic and physical factors in structuring the Antarctic benthos. I thank A. Clarke, D. Barnes and L. Peck, for valuable critical input throughout the study, and all in the marine team at Rothera research station, particularly P. Horne and R. Piper, for diving support. Two anonymous referees suggested changes which improved an earlier version of the manuscript.